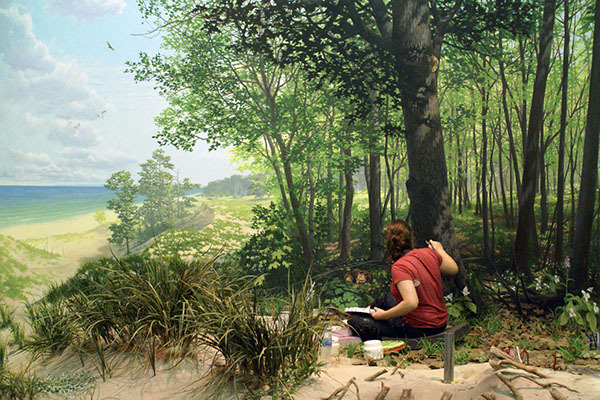 A mural project for the Indiana Dunes State Park Visitor Center, produced by Blue Rhino Studio as part of a 12 foot in diameter diorama. I designed and painted this 11x20' acrylic canvas which was mounted behind the diorama groundform. 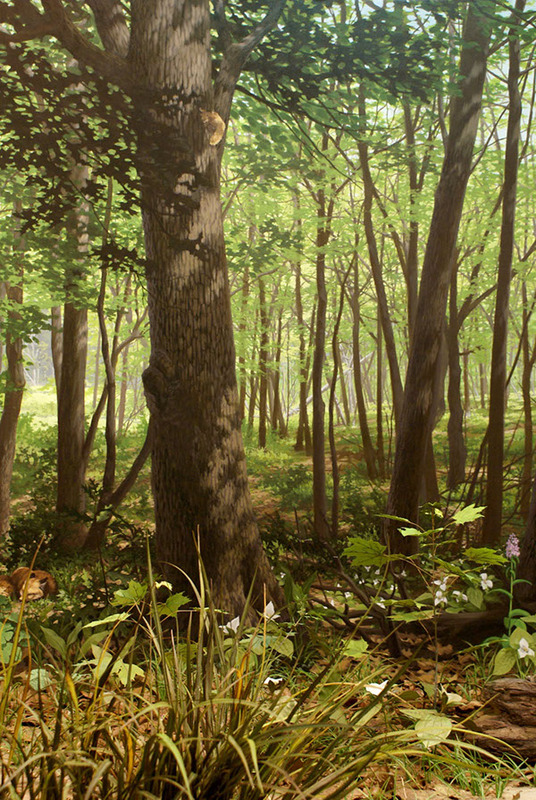 Mural background for Indiana Dunes State Park habitat diorama, by Blue Rhino Studio.